Applying for financial aid can be confusing, stressful, and intimidating for students and their families. Parents will, often for the first time, talk through family finances with their children as they complete a maze of paperwork, filled with unfamiliar terms and even less-familiar acronyms like AGI (Adjusted Gross Income) or COA (Cost of Attendance). 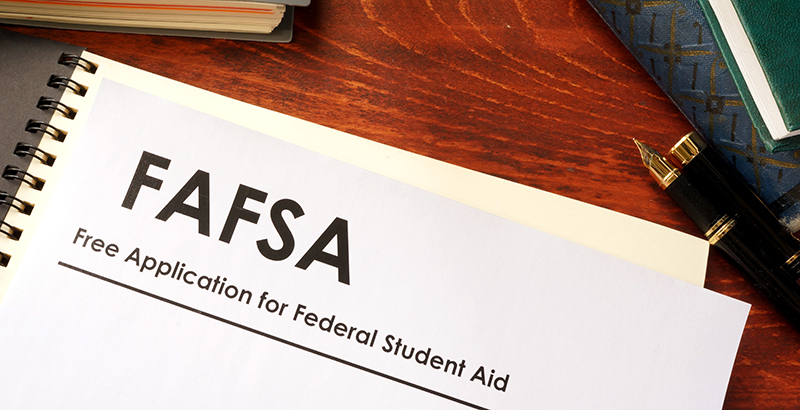 Completing the Free Application for Federal Student Aid (FAFSA), which opens next Monday, Oct. 1 — and completing it correctly — is a critical step in the financial aid process and the journey of attending college. According to the National College Access Network, 90 percent of high school seniors who complete the FAFSA proceed directly to college, compared with only 55 percent who don’t. Despite the many efforts to encourage students and families to complete the FAFSA, from Michelle Obama’s Reach Higher and Better Make Room initiatives to the network’s #FormYourFuture campaign, many still find the process intimidating. It doesn’t have to be that way. Here are the three most critical steps you and your family can take to avoid the pitfalls of the FAFSA process. A surprising number of students and their families don’t fill out the FAFSA. They find the process too complicated or assume they won’t be eligible for federal financial aid. Aid eligibility formulas are complex, so even if your family is relatively high-income, don’t discount the possibility of qualifying for certain types of federal aid, such as subsidized loans. Even more important, you have to fill out the FAFSA to qualify for many state aid programs and for need-based scholarships directly from colleges and universities. Many institutions are generous with so-called institutional aid even for relatively high-income families. A handful of colleges, including Harvard and Yale, offer no-loan policies, meaning they will replace any need-based loans you qualify for with institutional grants. About 85 percent of first-time, full-time students at four-year colleges and 77 percent of those at two-year colleges receive financial aid. Yet, according to the U.S. Department of Education, 20 percent of full-time and part-time undergraduate students do not apply at all. In 2016, NerdWallet estimated that students missed out on $2.7 billion in federal grants because of incomplete or unsubmitted FAFSA forms. Always, always, always fill out the FAFSA. The financial aid offers students receive for college are just that — offers. You don’t have to necessarily accept the first amount you’re set to receive, though you’ll probably need a good reason to appeal. But if a student’s or a family’s circumstances change, so can the amount of aid. You shouldn’t hesitate to appeal the offer if your family is now experiencing extra financial hardship. If a parent loses a job, for example, you should reach out to the institution to discuss additional options and begin an appeal process. And make sure to fill out the FAFSA every year — even if you were disappointed in last year’s results. Students and their families can often feel overwhelmed in the financial aid process. This is especially true for first-generation college students. According to a 2010 study by the National Center for Education Statistics (table 4.2-A), dependent students with parents who have a high school diploma or less received $2,000 less in total financial aid, on average, than students whose parents had earned a bachelor’s degree or higher. High school counselors are there to help, as are college counselors and financial aid officers. If there are people in your life who have gone to college already, especially recently, reach out to them to talk about the process. There are also tools built into the FAFSA that can help guide students and parents, such as the IRS Data Retrieval Tool, which pulls information from families’ tax returns and plugs it directly into the application. The Federal Student Aid Information Center also provides resources, FAQs, and guidance. You’re not alone in the process. But you do have to own it. Amy Glynn, a former university director of financial aid, is vice president of financial aid and community initiatives at CampusLogic.